Thanks to Marc Tyll for this history of WBAS. 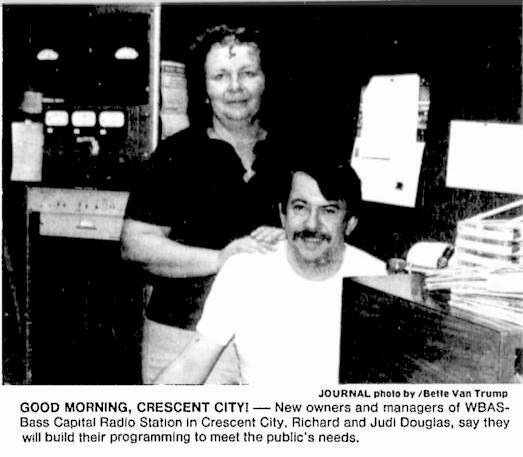 WBAS-AM began operation in 1981 as Putnam County's third AM radio station, and Crescent City's only radio station. The station was planned and constructed by former WKKX-AM 1310, Deland sales executive John Miller. The station operated on 1330 kilohertz with 1,000 watts directional daytime and used a three tower inline East/West directional antenna system and could be heard playing a mix of classic and modern country favorites throughout South Putnam and most of Flagler County. WBAS had an excellent signal in Bunnell, Palm Coast and Flagler Beach which had no local radio service. 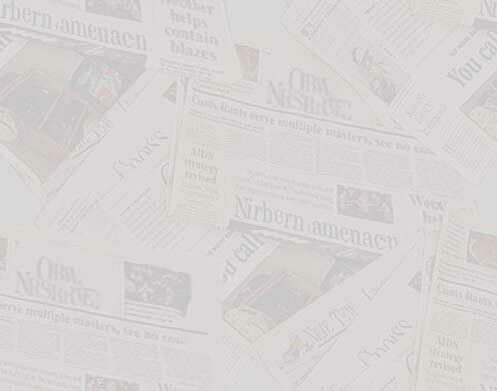 Since Crescent City is known for excellent bass fishing and has earned the title Bass Capital of the World, the call letters WBAS were chosen to represent Bass. In 1984 Miller sold WBAS to Richard and Judi Douglas. Richard had been the chief engineer at WTMC-AM 1290 in Ocala while his wife, Judy, was an on-air personality at WTRS-FM 102.3 in Dunnellon. The Douglas' operated the station for three years, adding a cable FM station heard on Crescent City's local cable system. Due to strong FM competition from Daytona, sales revenue drastically declined. Unable to recover from the economic downturn, the Douglas' signed WBAS off the air for the final time in 1982 and the frequency 1330 kHz was deleted from Crescent City.